Mammatus clouds: rounded, smooth, sack-like protrusions hanging from the underside of a cloud (usually a thunderstorm anvil). 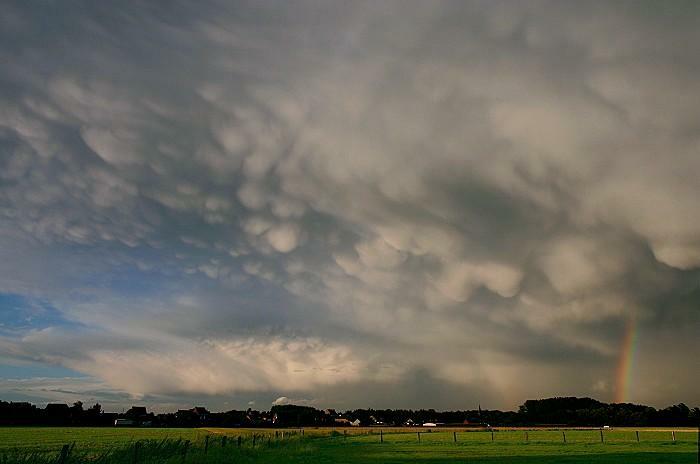 Mammatus clouds often accompany severe thunderstorms, but do not produce severe weather; they may accompany non-severe storms as well. In my area they usually occur a couple of times a year.